Strange Nature, the feature length debut of James Ojala, known primarily for his vfx work in film and television, opens in Los Angeles at Laemmle’s Glendale Theatre The Mercy on September 22nd. 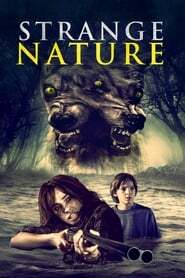 Billed as an eco-thriller Strange Nature is reportedly based on ‘true unsolved outbreaks of wildlife mutations. It stars Lisa Sheridan (“Invasion”), Stephen Tobolowsky (Memento), Welcome the Stranger John Hennigan (Minutes to Midnight), Tiffany Shepis (Victor Crowley), and Carlos Alazraqui (The Funhouse Massacre). Screen Anarchy has been given an exclusive clip to share with In Search of Greatness you below. We have also included the trailer and the long synopsis for futher context.